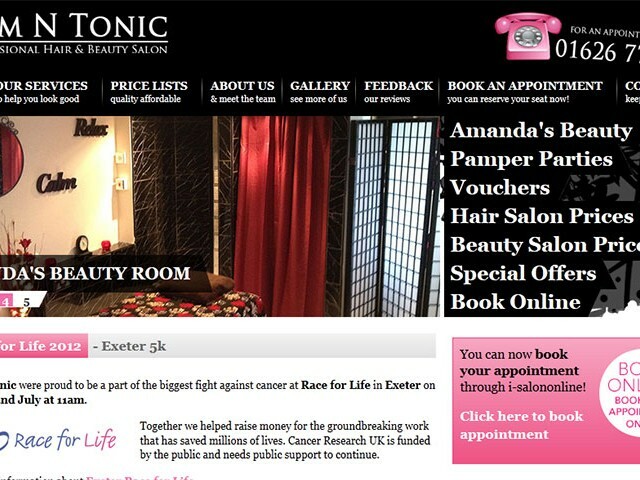 Trim N Tonic is a professional hair and beauty salon located in Teignmouth, Devon. Their professional and experienced staff use only the highest quality products and offer a wide range of luxury hair, beauty and relaxation treatments, including the very latest ‘Ritual Experience’. Clocked Web Development has maintained the Trim N Tonic website since 2012, extending the functionality to offer photo galleries and improved online booking. Trim N Tonic runs on the Joomla CMS platform.